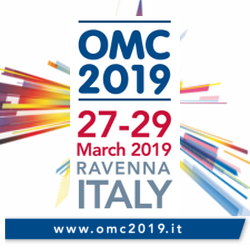 OMC Ravenna Italy 2019 special 10% discount on the best rate of the day. at Hotel Suisse Milano Marittima, just 20 minutes from the Exhibition Centre Pala De André in Ravenna. The Hotel Suisse Milano Marittima is close to Ravenna and the WTO is also an excellent opportunity to combine a business trip with the discovery of the city and its mosaics, the city offers modern facilities and excellent cuisine. Convention Restaurant near the hotel.